LBP locksmith Brighton were called to an emergency situation in the centre of Brighton. The mortice lock had seized up and the key was stuck in the locked position. The tenants were concerned for their safety and security. LBP locksmith Brighton arrived at their location within thirty minutes of their initial call. Unfortunately the lock was faulty and beyond repair. 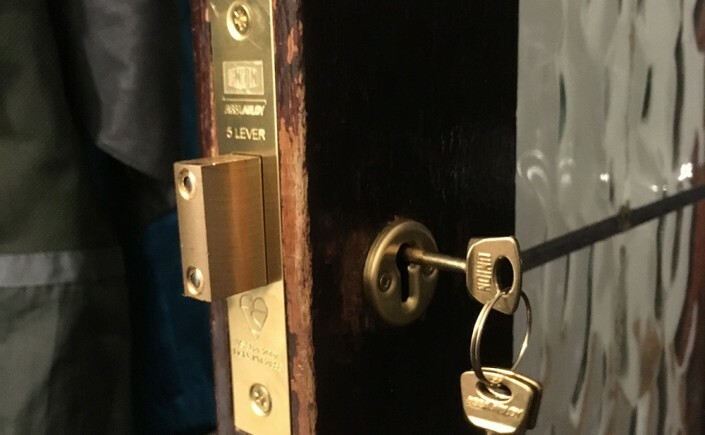 LBP locksmith Brighton replaced the mortice lock with the newer version that meets the current British standards. The tenants were relieved and very grateful at how quickly the situation was sorted out.